The festival got its start in 1972 as part of a birthday celebration for New Mexico's oldest radio station: 770 KKOB. In 2000, the number of balloons that were registered for the festival topped the 1,000 mark. Today, up to 600 balloons can take part in the Albuquerque International Balloon Fiesta. The growth of the city and the desire to offer a high-quality event year after year largely influence the current registry limits. Guests of the Albuquerque International Balloon Fiesta who haven't registered a balloon can still enjoy balloon rides thanks to a balloon ride company that is authorized to launch from Balloon Fiesta Park. The location of the city and its climate combine to make autumn an ideal Albuquerque ballooning season. Hence the festival's early October run. Every year, hundreds of thousands of visitors descend upon Balloon Fiesta Park to take part in the Albuquerque International Balloon Fiesta. Hot air balloon races and flight parades are among the main Albuquerque International Balloon Festival events, and those who partake in them often have the chance to win prizes. Other events during the festival include fireworks displays, trade shows, and concerts, but by far the biggest treat here is the soaring view from a hot air balloon for those who join in the ascent. It truly is a grand, citywide fiesta and has grown from a small inaugural event in 1972 to become one of the biggest and best attractions in New Mexico. Balloon Fiesta Park is where the main Albuquerque International Balloon Fiesta events take place. This sizeable plot of land is found along Alameda Boulevard NE on the city’s north side. Parking lots are located on the park’s north and south ends, and visitors should look to arrive early in the morning, especially on weekends. Anyone who wishes to enjoy the nine-day Albuquerque International Balloon Fiesta is also encouraged to check out the Balloon Discovery Center. Situated on the north end of Main Street, this educational center offers excellent insight into the Albuquerque International Balloon Fiesta and hot air ballooning in general. No visit to Albuquerque would be complete without spending some time in the city’s Old Town district. 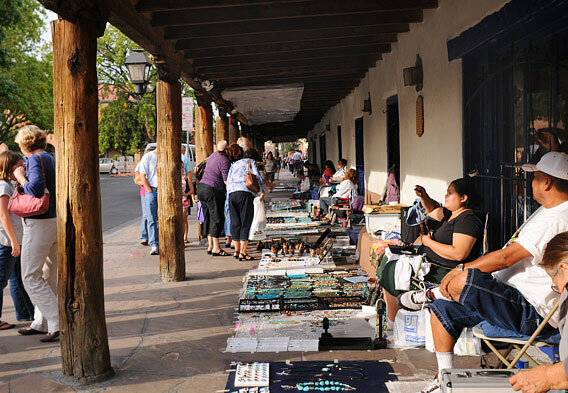 Albuquerque’s historic Old Town dates back to the early 1700s and is largely known for its architecture, its cobbled streets, and its wonderful shopping and dining options. Central Avenue, which was formerly part of historic Route 66, runs through Old Town, only accentuating the appeal for tourists. Guided walking tours of the district can be arranged. There are plenty of interesting attractions that can make a New Mexico vacation unforgettable, and among them is Chaco Canyon. 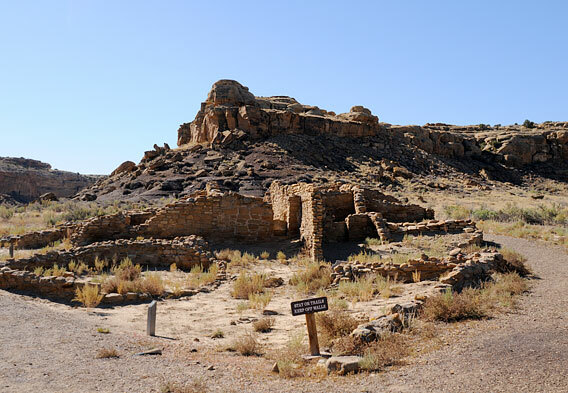 Situated in the northwest part of the state, this historic park, which is more officially known as the Chaco Culture National Historic Park, boasts a most impressive collection of ancient ruins and dwellings of the Ancient Pueblo Peoples. This site is a UNESCO World Heritage Site. Few cave systems in the world are as large and impressive as the Carlsbad Caverns, which are located about 300 miles from Albuquerque in Carlsbad, New Mexico. More than 100 caves make up the Carlsbad Caverns site, and there is no shortage of interesting formations inside these underground lairs. 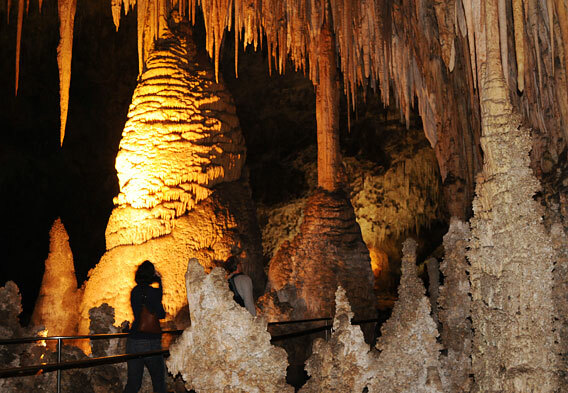 A variety of Carlsbad Caverns tours are available, and visitors to the park can also do some hiking and backcountry camping should they so desire.